Keep your entire team connected with DragonFly Connect. This free and simple conversion tool gives you the ability to convert any content to a suitable format needed for your team. 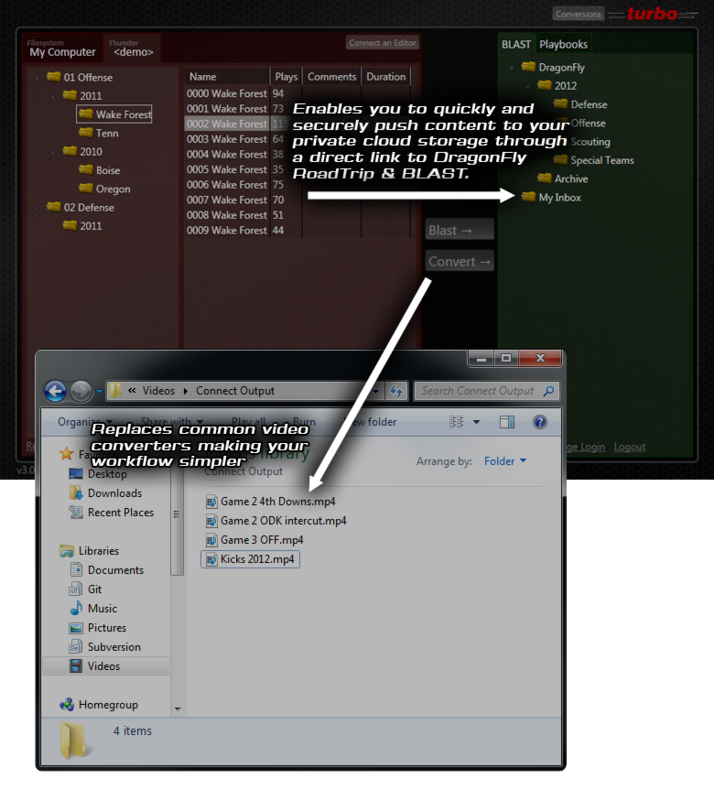 Connect also allows you to have full integration with all files, documents, video and editing systems like DVSport and XOS. With this full integration you now have full control and customization of your work.